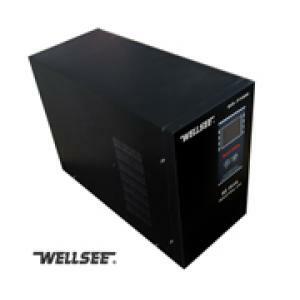 WELLSEE solar inverter WS-P1000 _Pure Sine Wave Inverter_Products_solar controller,charge controller,solar regulator,lighting controller,mppt controller are selling best on our website! 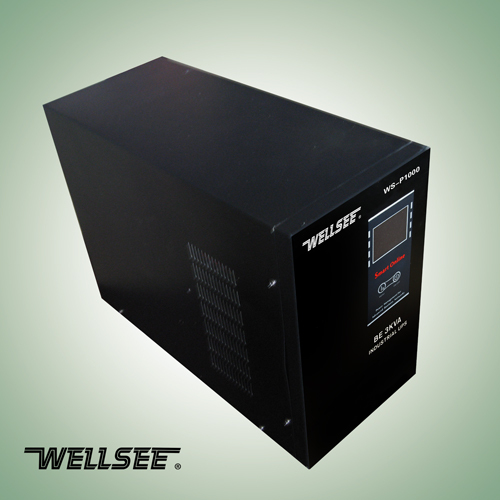 WS-P1000 1000W WELLSEE solar inverter power inverter (also known as WELLSEE pure sine wave inverter) is of high performance representing the highest level in the field of inverter manufacture. It adopts micro-computer to fulfill auto-control. It outputs high quality sine wave AC with high conversion efficiency to provide power supply for electric appliance such as electric fans, refrigerators, air conditioners, computers and so on. 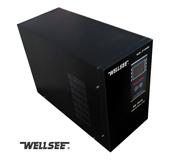 WS-P1000 1000W has a diversity of input and output ways: 12V input, 24V input, 36V input ,48V input; 220VAC output etc., which can meet the demand of both domestic and international users for mobile alternating current. Overloading protection: Wheninverter is connected the excessive loads and the total power of loads exceeds its tolerance, the inverter will be sound and the red LED will get light .Then the inverter will stop working and turn into the self-protection state. Discharge protection: When the voltage of the battery is lower than21.5V, the inverter will be sound and the LED will get light. Thenthe inverter will be stop output and lock up with in 5 minutes. 1kw pure sine wave, reliable.